I read this article and found it very interesting, thought it might be something for you. The article is called Soundbite: Rachel Nolan: Nobó and is located at https://www.totallydublin.ie/food-drink/food-drink-features/soundbite-rachel-nolan-nobo/. Rachel Nolan talks to us about using simple wholefood ingredients to create imaginative and surprisingly indulgent plant-based ice cream and chocolate treats. How did Nobó first come into being? Ice cream was something that never really agreed with us. We just never felt good after eating it, so creating an alternative that could satisfy our craving for indulgence without the downsides really appealed to us. We loved the idea of using nutrient-rich whole food ingredients, like avocados to replace the animal fats and coconut milk for its taste and benefits for the body. 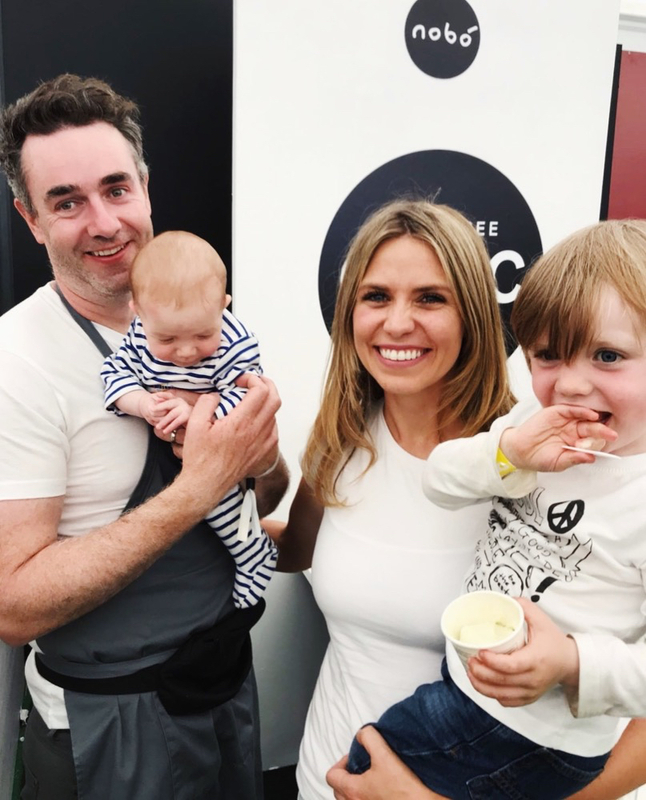 Upon returning to Dublin, we started experimenting in our kitchen with a borrowed ice cream machine to try and create an ice cream alternative made from just a few pure ingredients. Then we started selling our creations in various farmers markets around Dublin, tweaking our recipe each week based on the customers’ feedback. After two years, we got the ice cream where we wanted it, and finally launched into retail outlets at the start of 2014. What were the main challenges you experienced in getting the business off the ground? We are doing something very unique in the ice cream world, not just by using avocado and coconut milk, but also by doing it all without the use of any stabilisers, gums or refined sugar. We were always very conscious to ensure that our product was scalable, so before launching into our first store we needed to make sure that it could be replicated on a larger scale without compromising anything from a quality perspective. This was very challenging! We had to stay strong at many stages of the product development as we were constantly challenged as to the feasibility of creating such a product. The same has been true of our new chocolate, which took nearly two years to develop. Thankfully, we persevered and are hugely proud of what we have achieved. Tell us more about Frozen Goodness, your fresh take on ice cream. Nobó Frozen Goodness is made from ingredients that everyone knows, with nothing strange hidden in it. We really liked the idea of creating creaminess with avocado because it’s such a nutritious way of bringing creaminess and because it’s a plant based fat it’s made of monounsaturated fats, which are much better for you, and it comes with a host of other healthy benefits as well. Our dairy-free ice cream is made from a unique blend of whole food ingredients. Our Vanilla & Coconut flavour has just four ingredients and we don’t use any gums or stabilisers which is particularly unusual in ice cream. We currently have six flavours and, since launching, we have been awarded over 20 stars from the Great Taste Awards across our range. What’s the underlying philosophy behind the approach you’ve taken? Our approach has always been about using simple wholefood ingredients to create imaginative and surprisingly indulgent treats. Our new chocolate follows the same principles as our ice cream. We wanted to create our own version of milk chocolate, something that was smooth, creamy and indulgent, but lower in sugar and made from only plant based ingredients. Our chocolate is handmade in Co. Cork from just five wholesome ingredients: cocoa nibs, cocoa butter, coconut sugar, cashew nut butter and coconut and each ingredient has been considered and thoughtfully sourced. Our cocoa beans are organic and sustainably sourced from a plantation near Virunga National Park in the Congo, and these ingredients are then stoneground for over 24 hours to create a smooth and rich chocolate. Talk to us about the packaging and what inspired the name “Nobó”. We are very proud to be one of the first Irish food businesses to use compostable packaging to wrap our chocolate. Our wrapper, including the ‘foil’ lining, can be disposed of in a typical brown compost bin. Interestingly, it is actually made from a sustainable plantation of eucalyptus trees, and took us over a year of trials with our packaging supplier to ensure its suitability. Recently, it was awarded one of Europe’s most sought-after awards in packaging for innovation. Myself and Brian came up with the name for our business on a drive down to Connemara, one of our favourite places. We wanted a name that communicated something about what we stand for and also our Irish roots. Bó is the Irish word for cow, and all our products are always dairy free. Do you have plans to introduce any further additions to the brand? Absolutely! We love coming up with new products and have lots of ideas we are working on. In the short term we will be expanding our range of chocolate to include more flavours and different shapes & sizes. We have lots of other ideas for dairy-free treats and snacks that we are also working on. 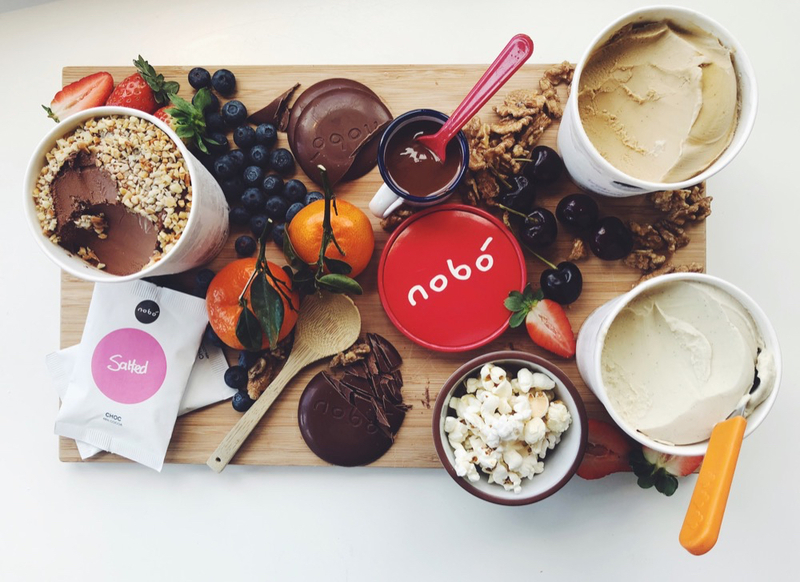 Nobó’s new range of chocolate can be purchased online from nobo.ie and is also available from independent stores, health shops and a number of coffee shops around the country. Nobó ice cream is also available from selected SuperValu, Dunnes and Tesco stores.